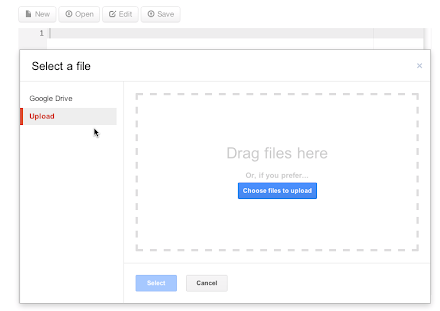 // Use the Google Loader script to load the google.picker script. // Create a view to search images. // Use DocsUploadView to upload documents to Google Drive. var picker = new google.picker.PickerBuilder(). There is an important difference between this upload example and the code used to open files: in addition to the standard view, an instance of DocsUploadView is added to the Picker object, thus providing upload capability. For more information about this component and all other available views, please refer to the Google Picker Reference Guide.